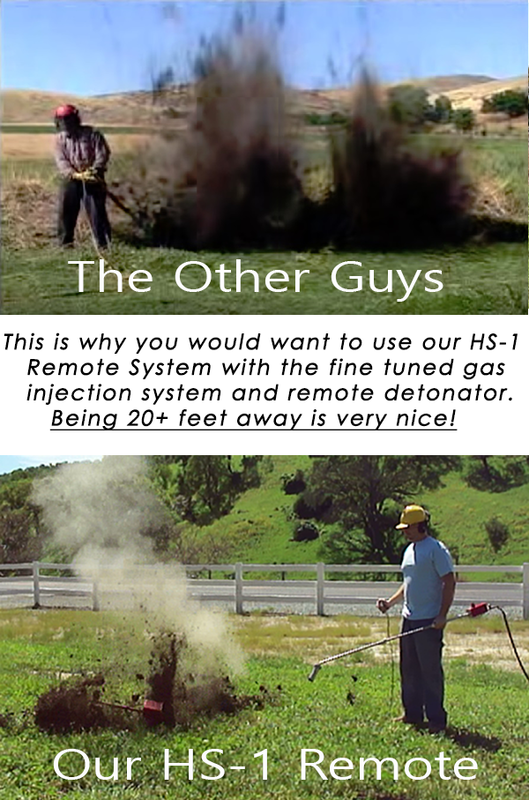 Our Remote Ignition Detonator is designed to ignite the propane and oxygen mixture in a rodent underground tunnel. It allows you to be a distance of 20-30 feet away when you push the ignition button. Fully assembled and ready to use. Constructed from metal and stainless steel construction and fully powder coated for years of tough use. Uses common household batteries to fire a 44000 volt igniter. Maintenance free unit. 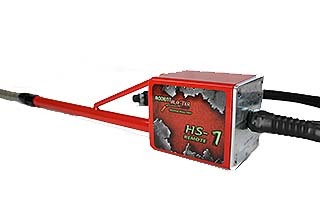 The Rodent Blaster Hot Shot ® uses our specially designed remote detonating system to ignite a propane and oxygen mixture that delivers a 7000 feet per second shock wave that instantly terminates your problem pest inside of their burrow. 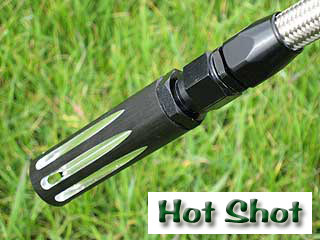 You won't have any dead rodents to clean up after using our Rodent Blaster Hot Shot ®. It is safe for the environment and will not harm pets and wildlife unlike dangerous poisons and traps. We have put together a complete system that works to get rid of the damaging ground squirrels , gophers, voles, prairie dogs, moles and all rodents that live in underground tunnels and burrows on your property. We also sell it separately for those of you who already own a rodent removal system that would normally require you to stand on top of the rodent hole ( but you really want to be 20-30 feet away ) This allows a much more enjoyable ( and safer ) experience in our opinion than standing on top of the blast. This is the solution to your problem.